Based on the RESA Law IRR (RA 9646), the results should be released within ten (10) days. As soon as we get hold of the results, we will publish the information online. In the meantime, good luck to all aspiring real estate brokers! hello po ask ako if college level is not qualified to take the board exam? [From the RESAR Admin] Hello! You need to be a college graduate (college diploma is needed). hello. when is the next real estate brokers exam? thanks. [From RESAR] We haven’t seen any official announcement yet from the PRC. They held the past two REB Exams in March 2011 and March 2012.
i was able to file my application for the board exam that was held last march 18, 2012. however, i was not able to take the actual board exam for the real estate brokelrs for one reason or another. 1. considering that i was not able to take the board exam last march 18, 2012, will i have to take the CRESARS 120 hours seminar all over again? the prc can check if indded i have taken the board exam. i still have my examination stab here and all other papers to prove my case. what is the existing policy on this matter? 2. is it true that there is another board exam for real estate brokers this coming September of 2012? 3. how much is the fee for lifetime membership on this site? 1. No, you don’t need to repeat your 120-hour CRESAR for the Real Estate Brokers’ Exam. But we haven’t seen a written policy about this. We’re basing this on the experience of people who were unable to take the Accounting Board Exams. They were able to take the PRC exam again the following year, without having to repeat their 4-year course. 2. The 2012 Schedule of Exams of the PRC does not show any September 2012 exam for RE Brokers. 3. The Lifetime Membership option is not currently available. Thank you for the help. Indeed, your online review hastened my learning of the different topics for Real Estate Board Exam. [From RESAR] Congrats, Ms Ana! You took your review seriously, and now you’re reaping the benefits! 🙂 Thanks! 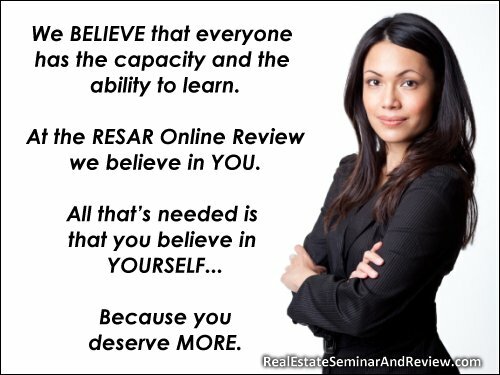 thanks god…i pass the real estate broker examination last march 18, 2012…thanks onlinereview…..
[From RESAR] Congratulations, Ms Rose! 🙂 Thanks! thanks god….i pass the real estate broker exam last march 18, 2012..thank you very much onlinereview…. this is also a big help…. the results might come out tonight. march 21, 2012 at about ten pm.